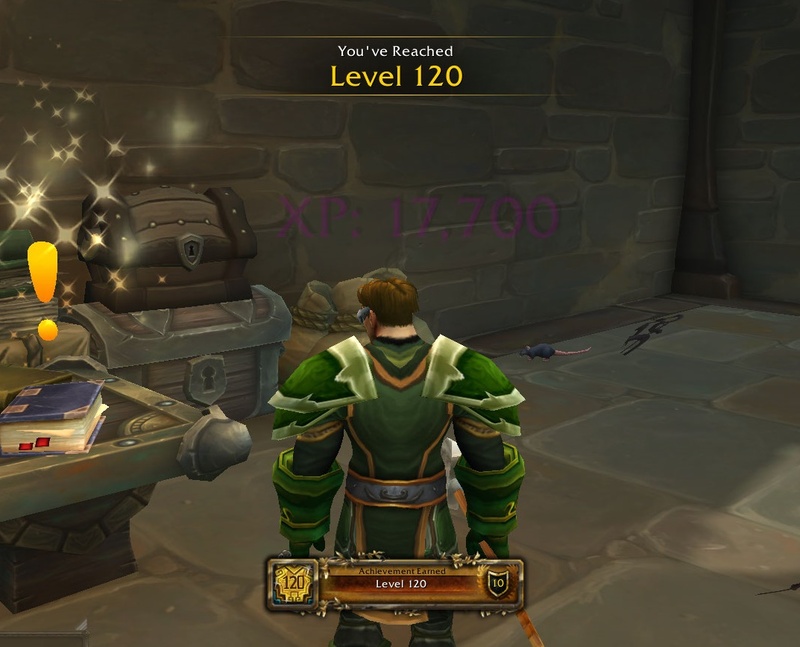 I finally managed to get to level cap in Battle for Azeroth. 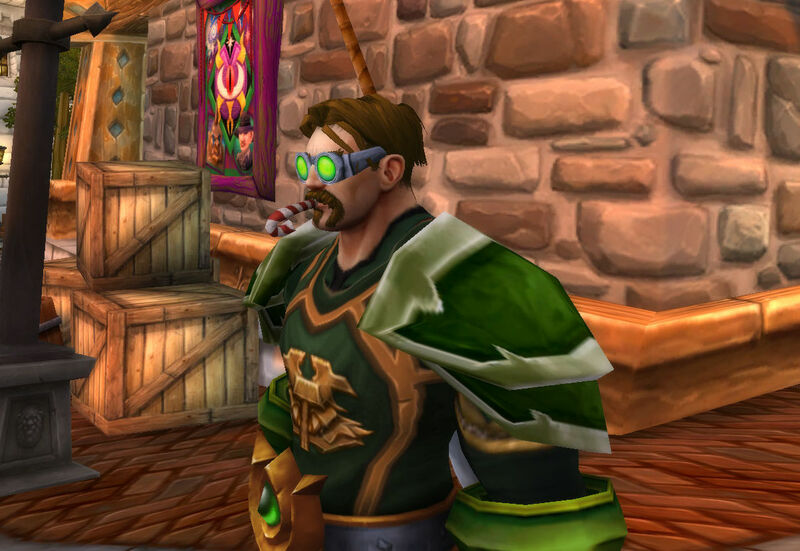 After an enthusiastic launch into the expansion when it hit, where I embraced the story and spoke lovingly about the look at feel of the zones in the expansion, I hit a wall. Well, less a wall than some quicksand mechanics that seemed to be dragging me down the further I progressed into the expansion. That ended up being the scaling system, which pegs off your item level. However, difficulty climbed probably faster than your item level probably required. The balance and speed of combat is a fine line. Nobody wants to run around one-shotting every mob. Well, okay, yes, we all like to do that once in a while, but it gets dull after a bit. On the flip side, if every solo mob on the field turns into a protracted struggle that requires multiple passes through your rotation and some healing afterwards, the game can become a slog. 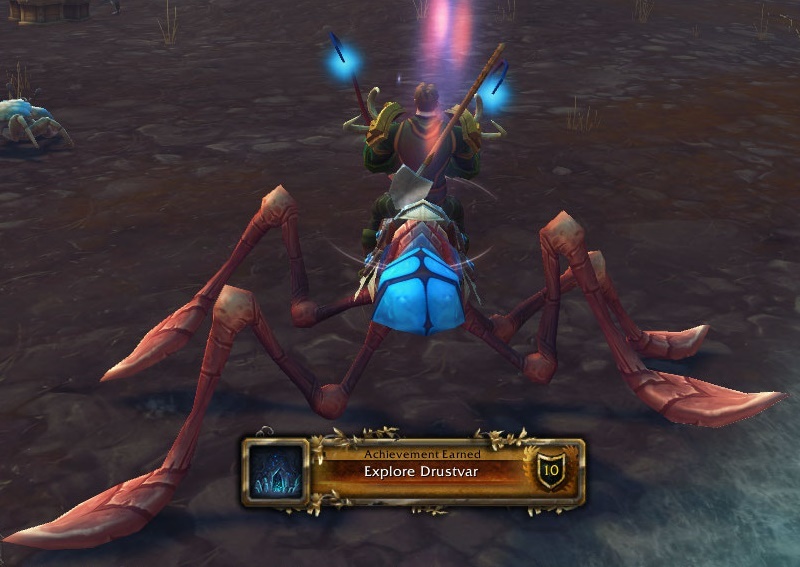 You kill one mob and look up and realize you need to go through that a dozen more times to get to your objective and the fun can start to wear off. That was starting to get to me, which ended up with me spending some time playing EverQuest II, where I flip-flopped between one-shotting things with a hard glace and getting my posterior handed to me, often without any discernible logic. Yes, I solo’d that no problem, why do you ask? The coming of BlizzCon though, that started to turn my mind back to Azeroth. The WoW Classic demo was really my intention. But after playing that for a bit, I swapped over and started back in on my main in Battle for Azeroth. As a bit of a pack rat, I found I hadn’t discarded some of my lower item level gear. I managed to balance myself out to be able to carry on through Stormsong Valley, which I finished up on Sunday, getting both the exploration and story complete achievements. Having already done Trigarde Sound, that left me with Drustvar. By that point I was already level 119 and pretty close to hitting the final level. So it took just a few quests there in order to hit the magic mark. Once I hit the level cap, a few new options opened up for me. I ran off to get the next foothold on Zandalar. I also did the obligatory island expedition learning thing, so I am starting to see what people were complaining about. 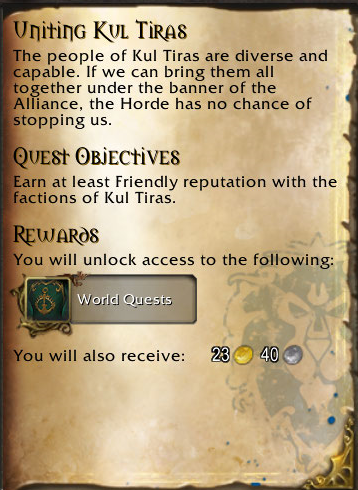 And then I got the quest that I need to wrap up in order to unlock world quests, which will open up the faction grind that seems likely to eventually make flying a thing. Having completed two zones, I am already honored with two of the three factions I need. 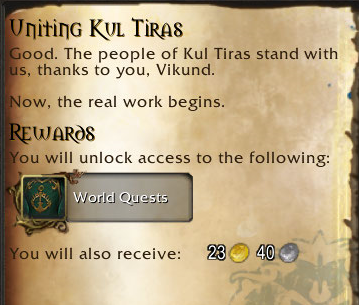 I suspect that running the quest lines in Drustvar will get me the third. At this point I am also going to run some of the dungeons to boost my gear. Since the rewards you get are always pegged to your level, I always feel like it is a bit of a waste to get dungeon rewards that don’t really help all that much. This entry was posted in entertainment, World of Warcraft and tagged Battle for Azeroth, Drustvar, Level Cap on November 6, 2018 by Wilhelm Arcturus.